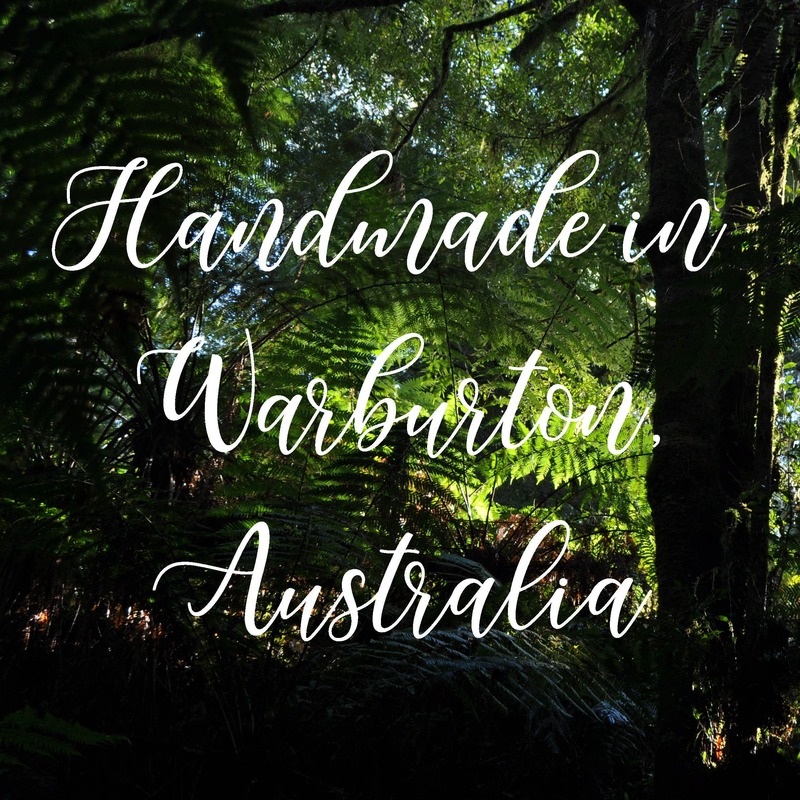 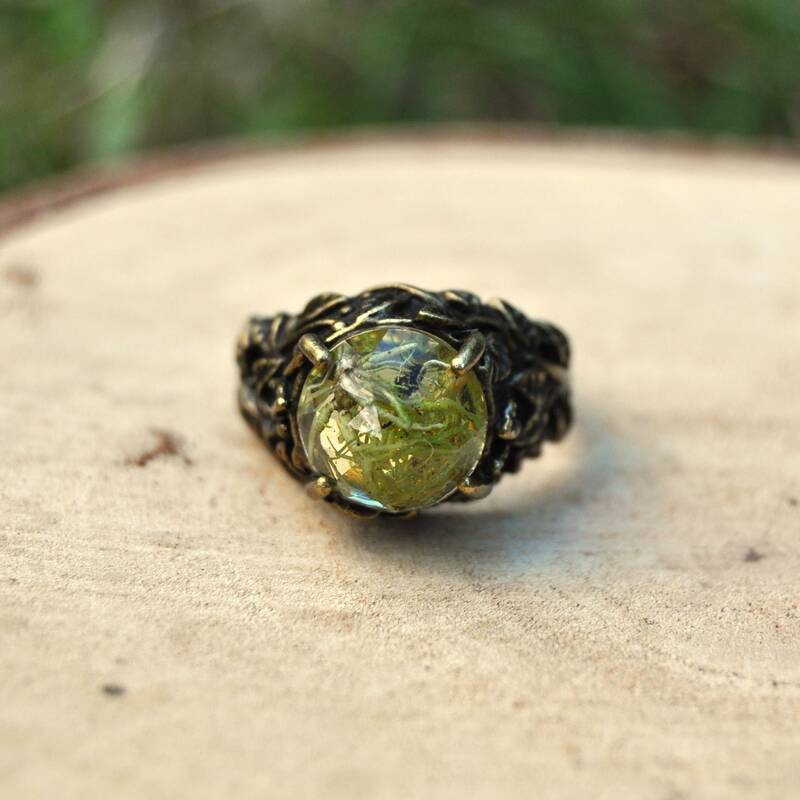 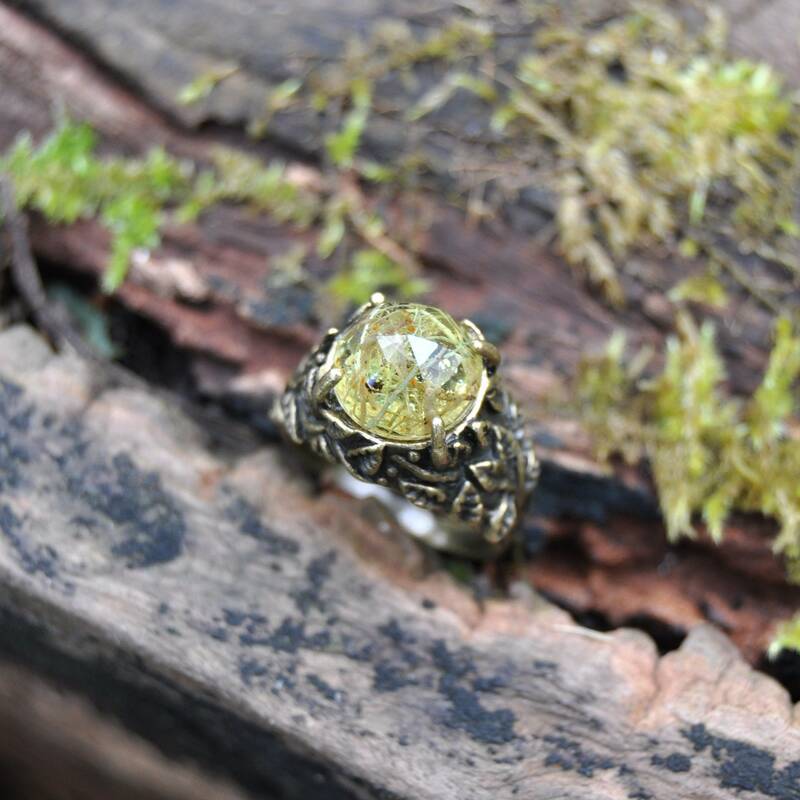 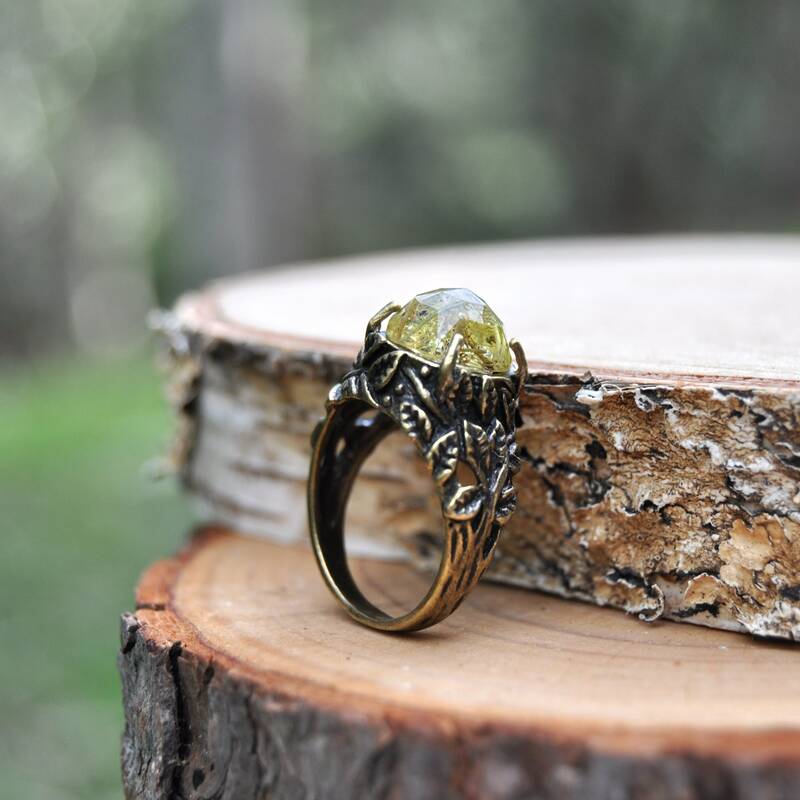 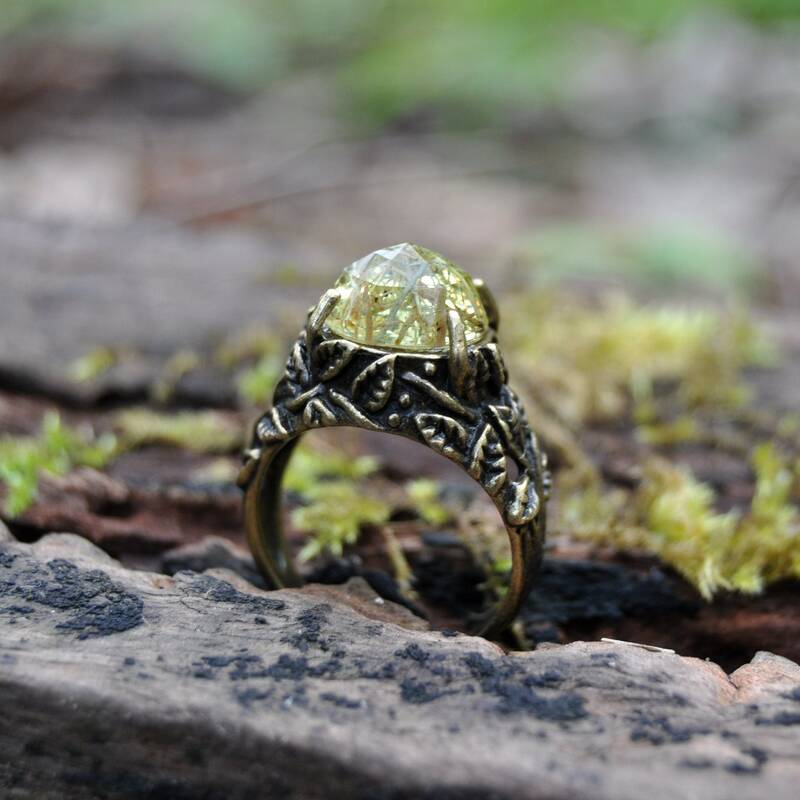 Fit for a an elf from Lord of the Rings, this vintage style ring has been made with real lichen from the forest and a gorgeous botanically inspired ring. 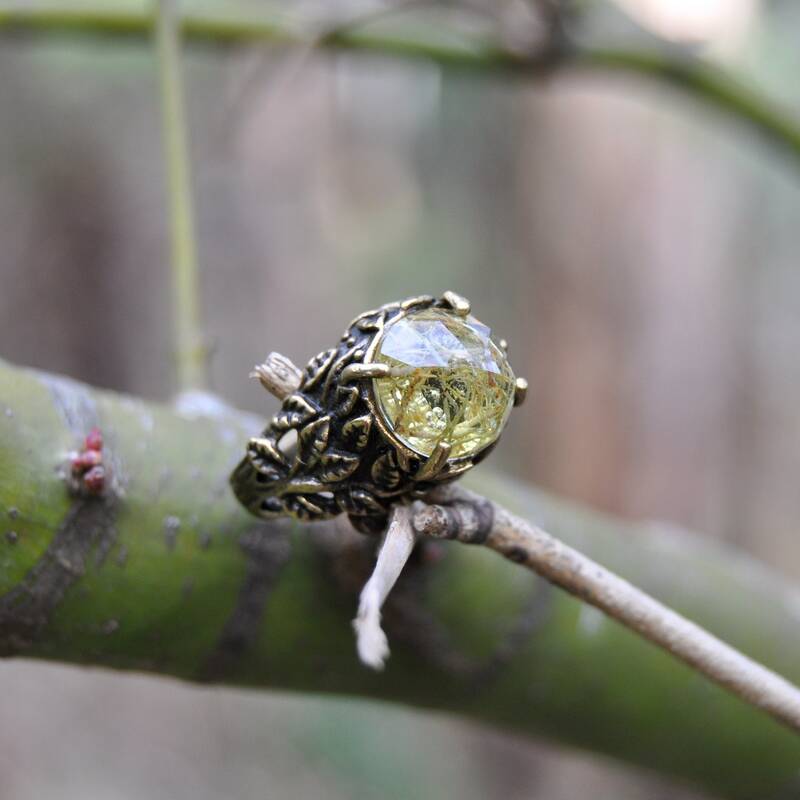 Bronze leaves are entwined around the ring, and the faceted resin focal piece reflects the light in a magical way. 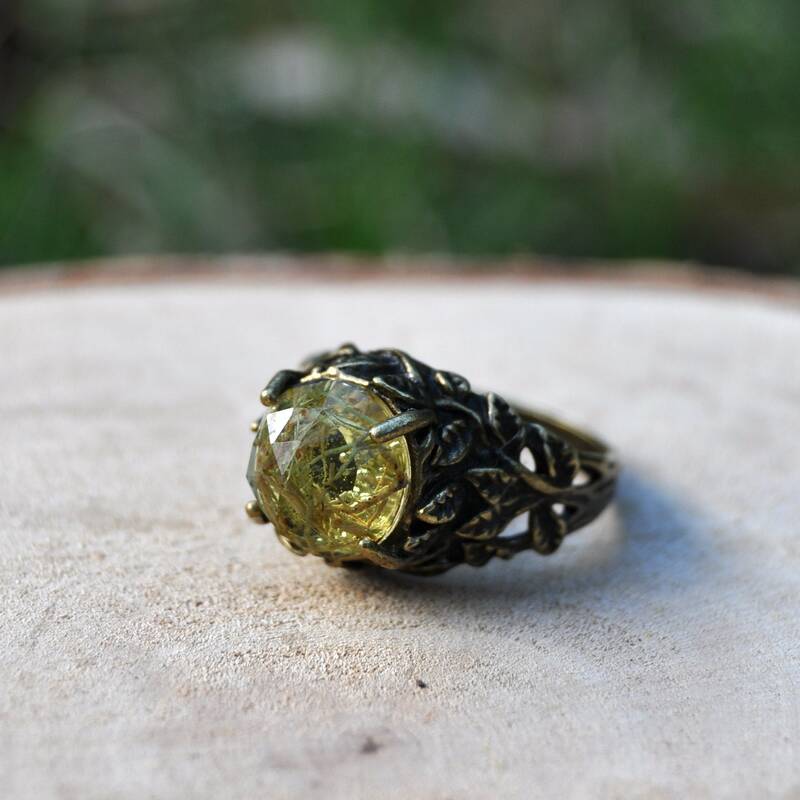 The lichen 'stone' is cast from clear eco resin in the form of a rose cut cabochon, giving the ring a feminine and delicate touch. 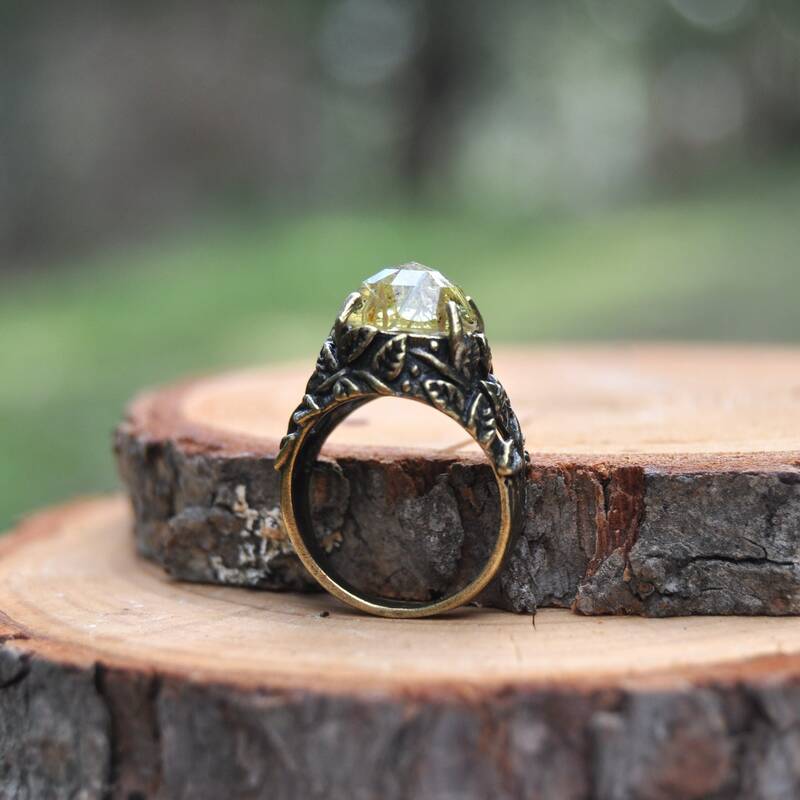 The ring is approximately a US size 5.75, and is cast in solid brass, giving it a nice weight. 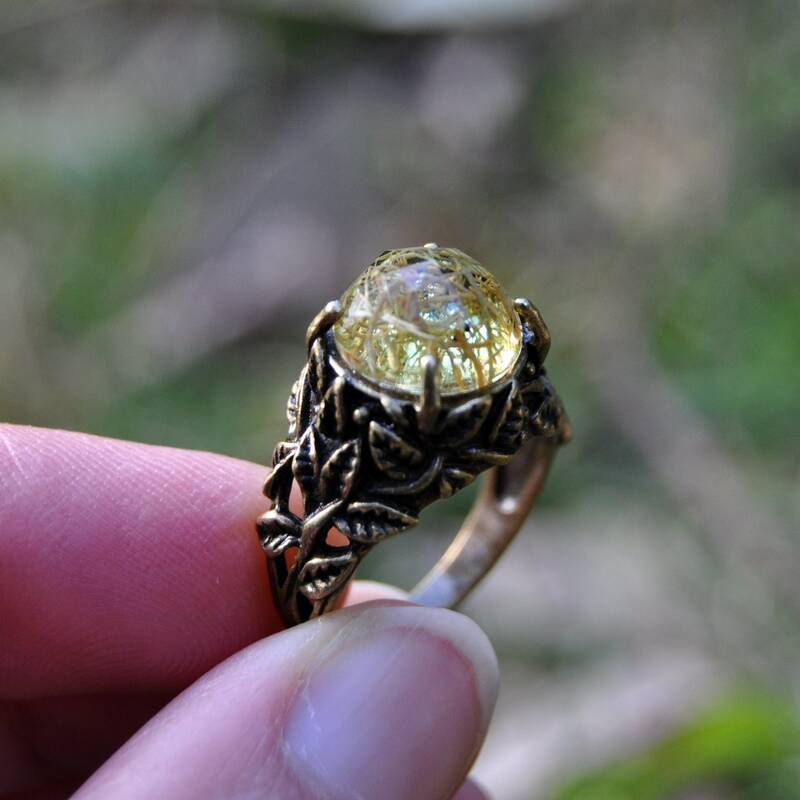 The resin cabochon in approximately 10 mm wide.